For the first time that I can remember tears came to my eyes during the two minute silence at my church yesterday. One of my friends in front of me recently lost her nephew in Afghanistan and as I glanced at her the pain that she has experienced got to me. When I was at secondary school and the annual remembrance service would include the reading of names of the school’s pupils who had died in the two world wars. As we spoke the line “We will remember them” in unison, there was something about the ritual that left me empty. These names meant nothing to us standing there. The whole experience seemed very hollow and irrelevant. Things are somewhat different now. Each morning when I draw the curtains I can see from my bedroom the remnants of a radar station once used to monitor activity across the channel. Then as I drive to work, being near the East coast, I pass a number of military pillboxes in the fields and on the side of the road; each one testament to the threat of invasion that this country feared would happen 70 years ago. These scars on the landscape are a regular reminder that even in times and places of relative peace, war and conflict are never far away. In reality, peace is something of an illusion. Though I go about my daily life free from the fear of immediate war, I am still drawn into conflict through those I know who are more directly affected, through the news that brings it into my living room, through the actions and decisions that our government makes from time to time and through the agencies whom I support asking for help with the humanitarian relief they are attempting to bring to those caught in the middle. The human condition that leads too many to abuse power and oppress and attack those who disagree with them affects us all. We shouldn’t expect anything else. John Lennon sang about giving peace a chance. I, like him and so many of us, want to see peace break out and conflicts resolved. As a Christian I read that Jesus is called the Prince of Peace. The desire for an end to suffering is in my blood, but in Jesus I find someone who though he did so much good and taught others to do the same was persecuted and killed. Even those who long for peace cannot be exempted from the pain of conflict. I may be doing my best to fight on the side of peace, justice and righteousness, but that fight leads me into battle and that makes me a soldier. In the book of Ephesians it talks about the armour of God and the need for Christians to carry their swords and shields. It’s clear that war is not just physical, it is also spiritual. As long evil continues to affect our hearts causing some who have the opportunity to attempt to exert control over others to the point of suffering and death, war will continue and when two or more sides attack each other for the same reasons as we see in Syria, the intensity and grief is further exacerbated. This is why Remembrance Day and Remembrance Sunday can never be an irrelevance to me again. As we hold these two minutes of silence it reminds me to be thankful for the peace I experience as a result of the dedication of those who fought and are fighting for freedom for my sake, to pray against those who wage war in their own interests and that I too might play my part as a faithful soldier in the army of the Prince of Peace. As we go through Veterans Day, let’s remember that we are not the only nation that has lost in the turmoils of this world. Thanks for this. I quoted a section and linked to it in my post yesterday to encourage others to read what you wrote. Thank you Nancy. 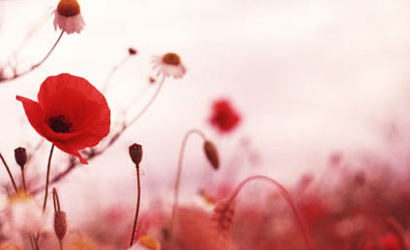 This is the link to your post: http://nancysblog-seeker.blogspot.co.uk/2013/11/remembrance-day-2013.html It is very good.